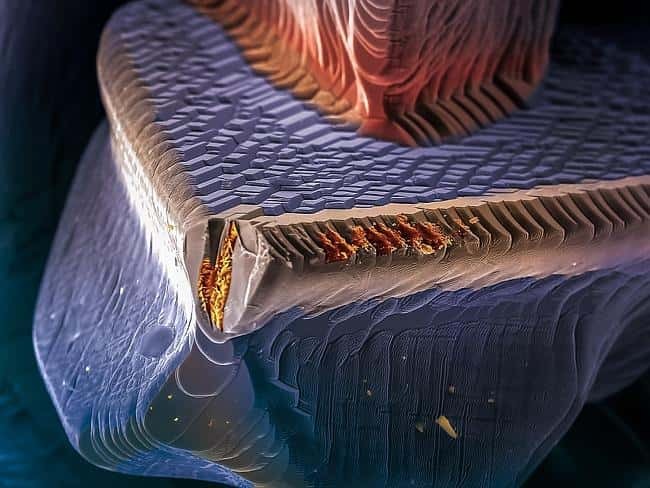 This is a collection of Amazing Science Photography showing things in ways you have never seen them before. There are many incredible things in this world that you would never be able to see if it wasn't for superb camera technology. Here are some of those things. 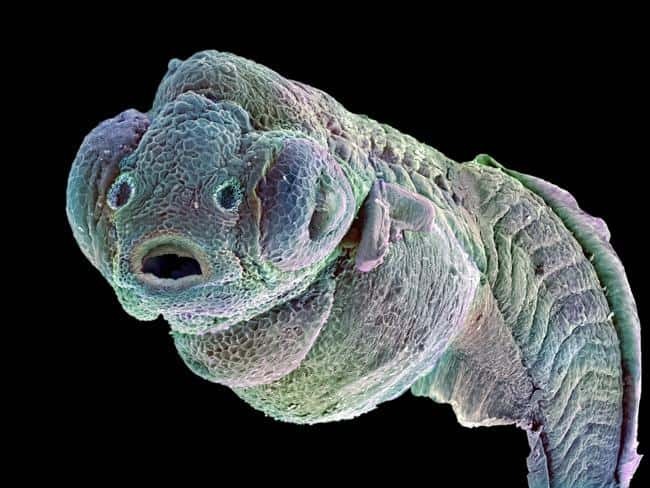 ^ This is an embryo, a Zebra Fish embryo. The Zebra Fish is a tropical fish which is valuable to researchers. 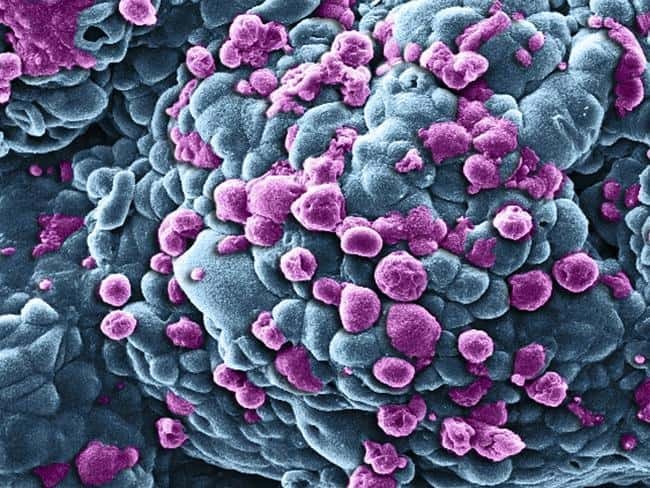 It is used in cancer related research and also drug screening. ^ It's hard to believe but this is an image of something you may have seen before. 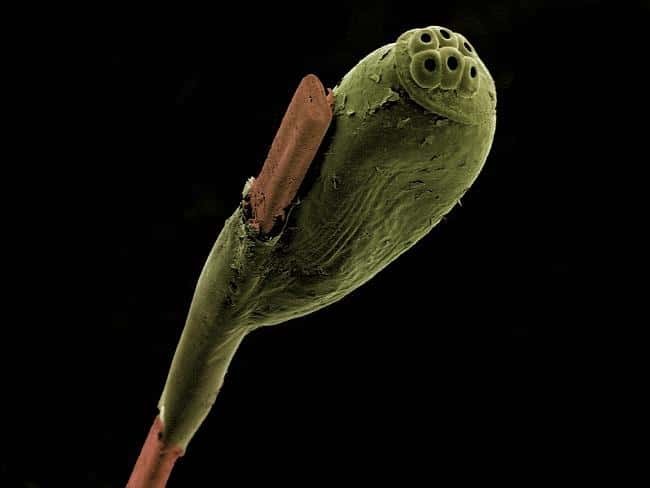 It's a head louse egg attached to a strand of hair. 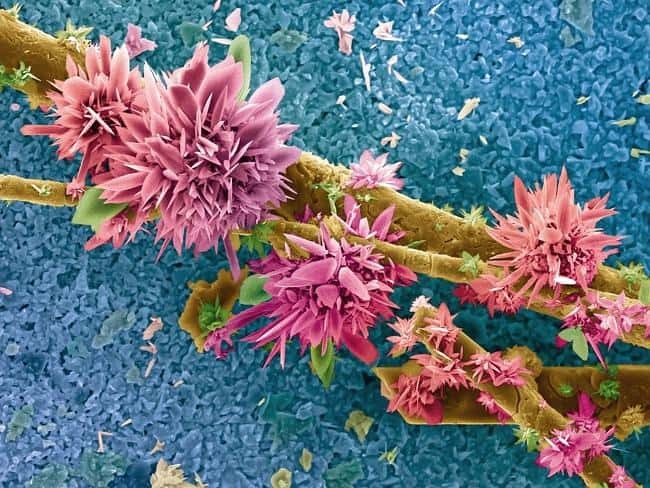 ^ This pretty image is actually a picture of deadly breast cancer cells. The purple areas are dying cells. 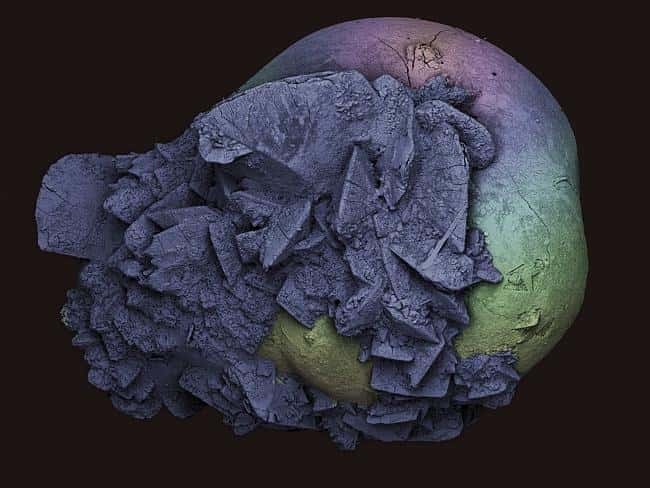 ^ An amazing photograph of a tiny kidney stone measuring 2mm. ^ Can you guess what this is? It's not flowers. This is an agricultural sludge sample with a width of 155 micrometers. ^ Looks like some kind of fungus. 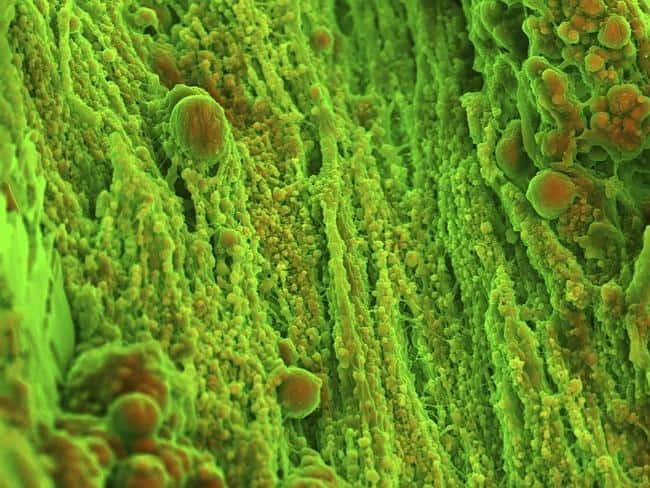 This is actually an incredible close up view of a human aortic heart valve. 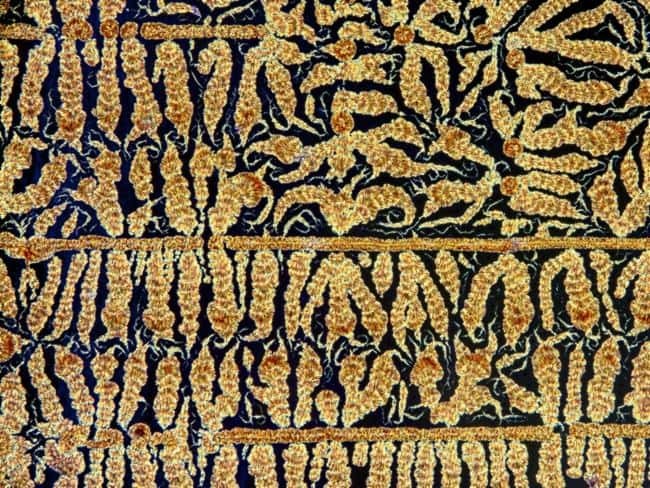 ^ A close up of something we all need, vitamin C. ^ The width of this image is actually only 320 micrometers. A close up view of a semi-conductor in a solar panel.